GameCube Platformer Developer coming soon! I think that the ZERO model in the bosses section currently is specific to how he appears in levels and cutscenes, with the boss fight using a different model (or at least, the one in the boss fight renders differently, with the area around the eyes appearing silver). I could be wrong, of course. Also, moving the cutscene versions of e-series to non-playable characters is a good idea. Hi guys. I'm having trouble getting the textures on the sky Chase skybox to display correctly in Blender. The dome part is white, but the texture is applied, so IDK why it's not working. Very nice ha ha ha. It wouldn't matter can't be used. In my Sonic greed book The Commandos are in the Mystic Ruins. Can't wait for the holidays. 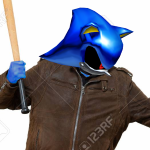 XxBlueCometxX Those are not Chaos Emeralds. Those are Baby Chaos Emeralds of Energy. That are Rotating Around his Body. He is so Powerful that can hurt SuperSonic Hypersonic Dark Sonic & Beyond Sonic Power. Like Sonic And The Secret Rings. Yes those are the Chaos Emeralds. Babys. That Rotating Around A Child. They Were created By the Master Emerald And The Chaos Emeralds. And they were born as Energy Emeralds. They were born in him. And he's Unleashing their Powers of Incredible Energy Power. 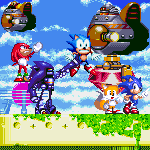 Since we have the Metal Sonics in separate sections, I believe it'd be the right thing to do to have the "generic" forms of Delta, Epsilon, and Zeta, as well as Chaos 1 in the "Non-playable characters" section, since those aren't technically fought. Any objections? Why'd the picture representing the game change to this blurry one? they had the chance when they called this "directors cut". Does anyone have the Casino/Train station area of Station square? You know, if SEGA had the galls to remake this into an HD3D Version with updated cutscenes and improved graphics, I'd bet they would include all of the unreleased extras. Yeah, I've uploaded Tikal, Completed Master Emerald, Dolphin (Emerald Coast), and Eggman in the Eggmobile. Still waiting on approval, but it seems like they have a lot of catching up to do. 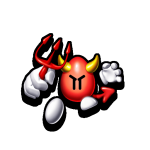 i'll submit Chaos 0, but he's from PC. I doubt there's a difference. Will Chaos 0 be added in at any chance? 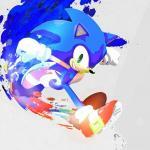 TokyoDrift456 It looks like the submitted files for Sonic and Amy contain their upgrades. SonicMasterSystem According to Pingu! the models for Tikal and Chaos 0 were removed for broken UVs and combined submeshes. 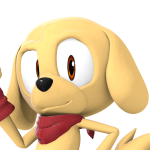 I submitted a Tikal model I ripped from the PC port, but I didn't submit the Chaos 0 model I ripped because the texture transparency didn't carry over to the converted model. Quick question: has anyone ripped the Models for the upgrades? If anyone can submit a better ripped model, please feel free to do so. Waiting for my Playable Metal Sonic to finish pending and get accepted.